One or more Port Commissioners, or the Port Executive Director, may be in attendance at one or more of the following. This calendar serves as notification to the press per RCW 42.30, Open Public Meetings Act. Questions should be referred to the Port Executive Director, 360-297-3545. 9:00 to 11:00 a.m. Kingston Stakeholders, Village Green Community Center – Meeting Room. 9:00 a.m. – 10:00 a.m. Port Commission Work Session, Port of Kingston Conference Room. 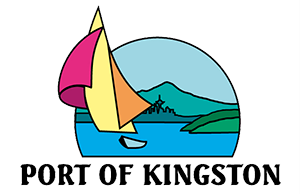 11:45 a.m. to 1:00 p.m. Kingston Chamber Luncheon, The Point Casino & Hotel, Kingston. Guest speaker Lauryn Evans, NK School Superintendent. 1:00 to 2:00 p.m. Port of Kingston Commission Regular Meeting, Village Green Community Center – Windermere Room.